Organizations of all sizes are now switching to hosted voice-over-IP (VoIP) as a communications tool for their businesses. Why? Well, there's a broad range of benefits that include cost, reliability, convenience, flexibility and more. Depending on your organization's size and specific calling needs, you can save significantly on your monthly phone bill by switching to hosted voice. It's no wonder that analysts estimate that the VoIP market is growing at over 15% per year! Plus, when VoIP is bundled with other business tools like fiber-optic Internet connectivity, you can appreciate major gains in reliability and up time. The temptation to stick with the familiar can be very real, especially for companies who lack in-house technical expertise or huge budgets for communications. Your traditional telephone vendor may not be perfect, but the risk of the unknown can be a little scary. If you're trying to decide whether the benefits of VoIP are enough to justify the cost investment and making the switch, you're in the right place. While some organizations prefer hosted VoIP, also known as "hosted PBX," others choose to host their VoIP internally, which is generally known as "on-premises" VoIP. While this offers the opportunity for more control, it requires significant technical expertise and an upfront investment. If you want to learn more about VoIP options, we covered the differences amongst VoIP technology in SIP Trunking vs. Hosted PBX: What's the Difference. We also cover some of the benefits of hosted VoIP vs. On-Premises PBX in 11 Common Mistakes Companies Make in Adopting VoIP Technology. For the sake of simplicity, we're analyzing the difference between Hosted VoIP, which means VoIP systems managed by a vendor and premise-based PBXs with a focus on the business benefits and risks that matter most to organizations of all sizes. Installing a traditional phone system in an office requires scheduling an appointment with a service company technician to install the equipment and run the wiring specific for the phone system. While this is rarely an ongoing issue, it's certainly a pain when you're first getting set up or need to make significant changes to your phone lines. Getting started with VoIP is easy. All you need are handsets the can share the same wiring and switches as your LAN. While vendor support can vary, getting your business connected to Hosted VoIP services requires a minimum of internal expertise and skills. For businesses that conduct customer service via the phone, Hosted VoIP is primed for the needs of a contact center of any size—from a small handful of customer service representatives to hundreds of agents operating 24/7. Unified communications (UC): UC allows your reps to communicate with customers via phone, chat, email, and more. Reporting and monitoring: Many VoIP services for contact center solutions offer easy access to the metrics and oversight you need to make smarter staffing and training decisions. Interactive voice recognition (IVR): By allowing your customers to speak their needs, you can throw away your old-school push-button phone tree and route calls to exactly the right department or person. Smarter call routing: VoIP offers extreme flexibility in routing, allowing you to optimize the number of calls received according to CSR training, skill level, and other factors. Hosted VoIP is flexible and can scale to your needs. Some brand new startups may need a minimum of features to get started as cost-efficiently as possible. Larger, well-established enterprises may be looking to unlock the most features possible for more integrated communications. When you're using an analog or PRI phone service vendor, adding another phone line isn't always easy. You'll spend time on the phone with customer service, schedule an installation, or even wait long periods of time. It can be slow, costly, and annoying. VoIP allows you to add phone lines easily within minutes, often directly from your management portal, at a flat rate per month. All you need is a handset and the ability to perform a few clicks. The flexibility and scalability of VoIP is ideal for businesses with seasonal fluctuations in staffing or companies experiencing fast growth. Creating a positive "customer experience" means that you need to integrate your communications across channels. This can require bringing together social media, phones, email, voicemails, chat, and any other methods your customers use to communicate. The cost savings potential of VoIP is immense. There is some initial investment cost in handsets, but you can pay a flat-rate per month for each phone line and add-on services. Researchers estimate that the average company saves 40% on hosted VoIP over analog, while companies with high international calling needs can save 90%. It's also important to note that VoIP can save your company money in other areas, too. 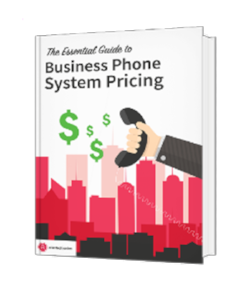 You're not going to lose productivity when traditional phone lines go down. You won't experience a humiliating data breach (and associated cleanup costs) from phone tapping. VoIP just makes financial sense. While note all providers offer the same add-ons for VoIP service, mobility is among one of the most common benefits that companies unlock when they switch to hosted VoIP. 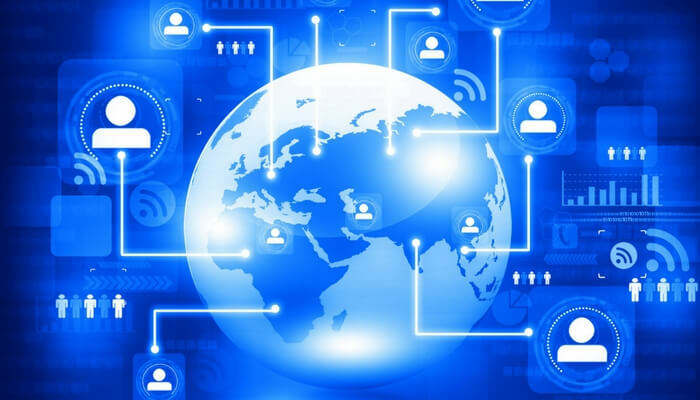 Depending on your vendor and configuration decisions, you can enable phone calls to ring simultaneously to both desk and mobile phones, unlock mobile call transferring, or enable mobile failover in the rare case your internet goes down. For companies that allow employees to work remotely or have travel needs, the mobility benefits of VoIP are remarkable for productivity and customer service. You can totally eliminate the confusion of lost or missed voicemails or of employees who have to juggle a desk line and a mobile number. Simply put, customers love VoIP. The right interactive voice recognition system can reduce feelings of being "bounced around" from rep to rep, enabling them to talk to the right person immediately. It also means less busy signals, higher call quality, and faster responses to queries with the right add-on features. In addition, with the RIGHT vendor for Hosted VoIP, you may be able to unlock far better customer service than you have with your analog phone vendor. You can appreciate 24/7 expert support, online knowledge base tools, better business continuity, and a host of other benefits. You can find more details in 7 Characteristics of Great VoIP Customer Service and Support. Your employees will get more done with hosted VoIP. Studies indicate that the productivity gains are greatest when you unlock mobility. Your employees can access transcripts of voicemails via email, allowing them to act on customer needs immediately. You'll deal with fewer missed calls, and data integration can eliminate the risk of confusion. Analog phone service is just phones. VoIP, however, can act as a comprehensive platform for business communications that matches the way your people work. Are You Ready to Switch to Hosted VoIP? Adopting any new technology can bring fear of the unknown and some degree of risk. However, VoIP is a well-established platform for business communications that is quickly becoming the norm. You and your boss can rest assured that Hosted VoIP means better cost savings, reliability, and productivity. As a leading provider of Hosted VoIP and unified business communications tools, Atlantech Online offers complimentary, pressure-free consultations. Contact one of our expert representatives today to learn whether you could benefit from switching away from plain-old-telephones. To make a call, click here to contact Atlantech Online!